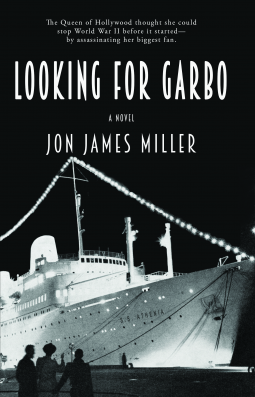 When documentary filmmaker James Main places an ad looking for anyone still above ground who knew movie goddess Greta Garbo, he’s delighted when Seth Moseley, a salty old reporter, replies with the promise of an untold story of why the reclusive star left Hollywood at the height of her fame. Dying of emphysema, Seth tells the story of when he was a cut-throat paparazzo stow away aboard the S.S. Athenia, intent on getting a candid photo of Garbo to pay off his gambling debts. Instead, the newshound falls hard for the enigmatic star as soon as he meets her face to face. But all is not what it seems and when war in Europe unexpectedly breaks out while the Athenia is still steaming across the Atlantic, Seth has to single-handedly save the movie star in the middle of an open ocean swarming with Nazis. Their daring escape brings Garbo’s film career to a premature end and shatters the lives of both star and reporter. And, unbeknownst to James, hearing their story decades later will change his own life forever.